Nyan Cat. . Wallpaper and background images in the Nyan Cat club tagged: nyan cat rainbow nyan cat poptart. fan art. 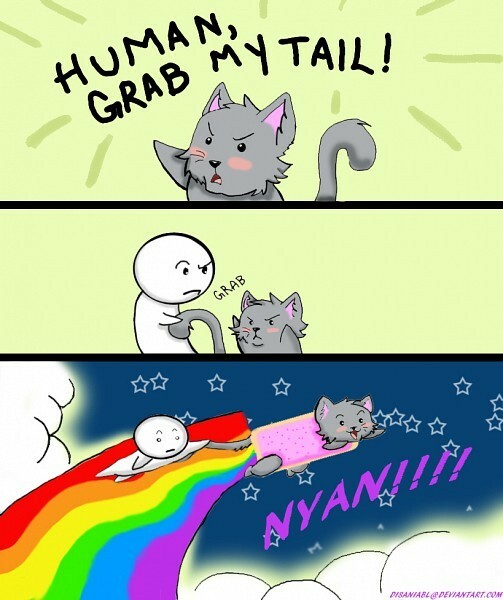 This Nyan Cat fan art contains anime, comic kitabu, manga, cartoon, and mkono. Whoa.. Just imagine if that human is me..
Nyan cat - the pop-tart cat.